Food Poisoning Bulletin has been reporting about so-called “ag gag” laws for years. These laws are intended to prevent whistleblowers from reporting on animal abuse at factory farms, and levy penalties against those who go undercover to film problems at these facilities. A federal judge, last week, noted “serious concerns and questions” about the constitutionality of Wyoming’s data trespass laws in an order released about a lawsuit against that state and refused to strike claims against the law. These laws criminalize undercover reporting on farms and in slaughterhouses that reveal animal abuse, food safety violations, and violations of food worker health and safety laws. Center for Food Safety and other groups have sued Wyoming over this law, claiming that the laws punish communication to government agencies. Judge Scott Skavdahl issued a 38-page order in December 2015, refusing to strike the plaintiff’s First and Fourteenth Amendment claims. Animal abuse is unethical and illegal, and it may have a bearing on food safety. Scientists say that animals raised in stressful environments are more susceptible to disease and bacterial infection. And those pathogenic bacteria can be passed on to people when meat is slaughtered and sold. 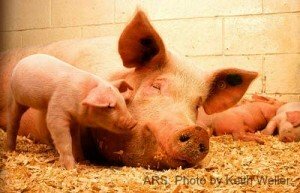 Ag-gag laws have been passed in several states, including Idaho, Iowa, Utah, Missouri, North Dakota, Montana, and Kansas. Laws have been either vetoed by the governor or failed to pass in North Carolina, Tennessee, California, and Indiana. Idaho’s law was struck down in a federal court last year as being unconstitutional.